If you have a question about one of our services or you would like to schedule a free 30-minute consultation, please fill out the form below and we will contact you as soon as possible! Our office is tricky to find! 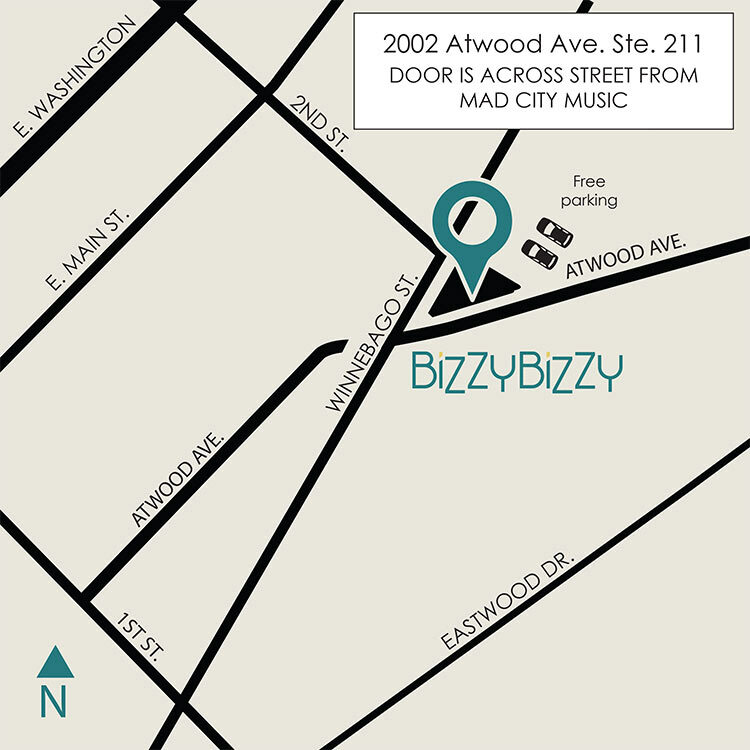 The door to the building is on Atwood across the street from Mad City Music. You go up the stairs and take your first left to our Suites 210 and Suite 211. We’re on the 2nd floor, so if you have trouble with stairs (sorry this is a very old building with no elevator), please let us know and we’ll meet you downstairs. There is a free parking lot to the East of the building that is accessible from Atwood. Our normal business hours are 9am – 5pm Mon. through Fri. Drop in by appointment only please.